Nearly thirteen years ago, the release of “For Instance”, off 2Baba’s ‘Grass to Grace‘ album, sparked rumors that he was being witch-hunted by president Obasanjo, Nigeria’s first civilian president after many decades of different military regimes that silenced and persecuted free expression. Last year, 2Baba was allegedly bullied out of holding a march against the government. 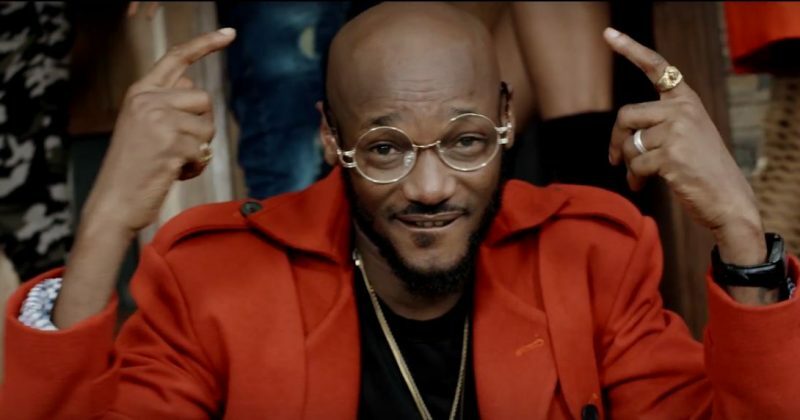 After weeks of prior build-up that somewhat tilted the country towards the possibility of another ‘OccupyNigeria’, 2Baba surfaced online, looking overdressed and exasperated with a video calling off the protest a week before the slated day. In Nigeria, like many parts of the continent, revenue flows from bottom to the top and never back down, so income is constricted for ‘frivolities’ like music. Artists are forced to also try and make income from the same honeypot as politicians and big corporations. The hypocrisy of 2Baba then becomes apparent, especially after canceling out on fans who expected him to actually pull off the protest. During a recent interview, 2Baba said: “We have a society where they play every type of music from morning till morning. There should be time for some kind of music that are immorally heavy (And) should play at a time when kids are sleeping”. For all of the media storms that have swayed public opinions away from 2Baba, he understands better than anybody that the farce of a society’s morality is only as true a reality as what people are allowed to talk about. Without a doubt, the two parts of Mr Idibia (2Face, 2Baba) have seen the light and dark of Nigeria. He’s aware that while the young must be protected, truth should not be masked as evil or fallacy. Since the end of colonization till date, Nigerian culture as a whole has witnessed several jumps because of the constant rifts between imported influences and long-held values. As a result, it always seems like nothing sticks for too long; Not our electricity, not our media, not our institutions, not even our democracy. But with the release of 2Baba’s “Amaka”, already making rounds on radio, its been over 20 years since he was a ‘Plantashun Boi’, and has saliently become one of the most consistent Nigerian ‘truths’. So much so that the arch of his career is often told with the dreamy rhetoric of being inspirational for coming generations. His debut album, ‘Face 2 Face‘, shot him into the limelight and five albums, many singles and awards later, no other artist passes the test of serving as a blueprint for the conventions that have become the format for popular Nigerian music. Using a blend of Hip-hop-R&B, Caribbean music and his traditional African sounds, 2Face eased Nigeria and Africa into an era for refined popular music, made at home for people at home. The important thing about 2Baba’s staying as one of Nigeria’s most relevant pop stars till date, is the rarity, especially given the kind of artist he is. Pop music’s volatile nature is reflected in how Afropop seems to only be capable of assuming only one sound at any particular point in time; Think the recent ‘ponpon’ and ‘shakushaku’ rave. The P Square brothers, D’banj, Asa, are amongst the few who seem to have been around the block for just as long as 2Face, but none got into the spotlight before 2Face recorded “Omode Meta” with Tony Tetuila and Ruff Rugged and Raw in 2000. Think about this, 2Baba has seen as many inflation as careers that took off and crashed prematurely—and probably more.